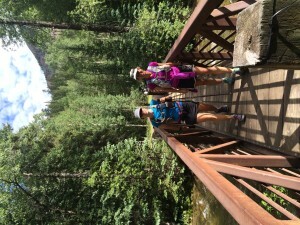 Over the last few years, ultra running has become a much more popular sport. As a percentage of the general population, we’re still very small, but we’re no longer what Runner’s World Magazine not too long ago called a lunatic fringe group. There are more of us, and we’re more visible. The general population now acknowledges we exist. And they are interested in who we are. We are being studied: our average height and weight, our VO2 max (whatever that is), our training volume, our diet, our demographic data. It turns out that we are a remarkably boring, remarkably responsible bunch of people: middle-class, educated, hard at work in demanding careers. We have college degrees, and stable incomes, which need so we can buy Hokas and Garmins. On paper, we sound intelligent, nerdy even. But while we actually run ultras, anecdotal evidence points in the opposite direction. Don’t get me wrong. Running does great things to our brains. The feel-good hormones a run releases make us happy. And smart, too. Scientists have confirmed what every runner knows: the runner’s high is real. It’s why we run. It’s more of an incentive than fitting into skinny jeans. There are times, after running for an hour or two, when we want to hug everyone we see, when we have solved all of the world’s problems, when we feel bliss, peace, clarity, nirvana. I’m not talking about these times. I’m talking about the other times, which haven’t been studied as thoroughly but maybe should be. The times when the high wears off, at least for a while, after five, or eight, or twenty hours of running. Some ultra runners, especially when tired, depleted, dehydrated, hungry, hypothermic, or all of the above, regress to the cognitive level of first-graders. They become progressively more irrational as their blood sugar levels plummet. Some become paranoid. I should know. I once imagined an elaborate murder plot in an aid station. But mostly, what they say still makes sense — to them, if not to anyone else. I once paced my friend and mentor Allen, a seasoned ultra veteran who has run more 100s than other people have watched episodes of The Walking Dead. When he stumbled into the aid station at mile 50, somewhat behind schedule, his face looked greenish-grey, the color of swamp sludge. Concerned, I asked what was wrong. I should have guessed that. His complexion was the color of an avocado. An avocado way past its expiration date. The sun was setting, but the day had been a sweltering 85 degrees in the Utah desert. Baking all day in the sun, inside a drop bag, couldn’t have done a highly perishable fruit like an avocado any favors. “Was it still good?” I asked. “Did it taste ok, though?” I probed. “No. I ate the whole thing” my friend declared, sounding oddly proud of this. Allen has a graduate degree and the IQ of a rocket scientist. He has taught me much of what I know about running ultras. Normally, what he says makes perfect sense. Now, it didn’t. To me, this seemed idiotic. But I hadn’t run 50 miles yet. I know nothing about neuroscience, but even I can tell that running all day changes something in our brain. Human reasoning moves into another dimension, one from which everyone who hasn’t just run 50 or more miles is excluded. 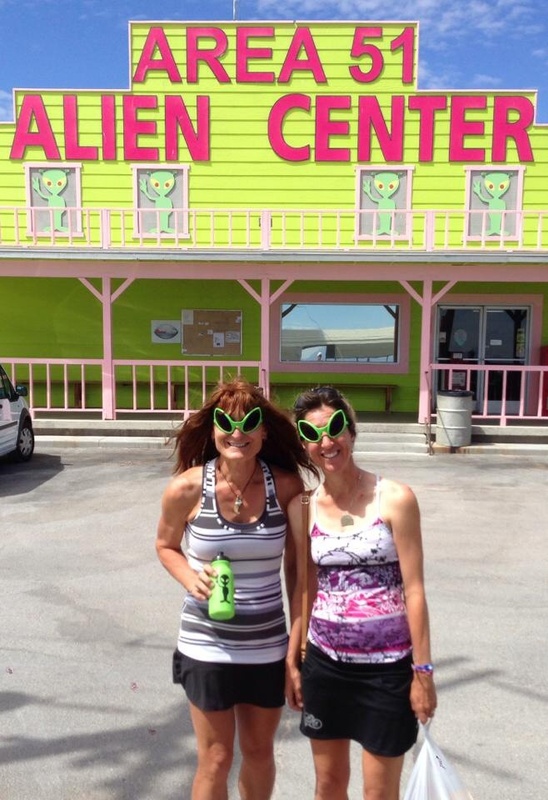 When pacing my friend Suzanne at Hardrock, she appeared confident and strong when I picked her up at mile 70. An hour later, as we headed up a mountain, she still moved well, but the confidence became shaky. The Hardrock 100 takes pride in their minimal course markings. It was true that we hadn’t seen one of those markers in quite some time. But the trail we were on was a very obvious path, and it had not crossed any others. Of course I wasn’t sure. I’ve managed to get lost in road marathons with thousands of runners and bands playing at every mile. Why anyone should trust my sense of direction on the Hardrock course is a mystery. She seemed to believe me. For a while, at least. As we reached the top, another wave of doubt washed over my runner. We hadn’t seen any markers, or any other runners, but with 175 of them spread out over 100 miles, this is not so unusual. And no, I wasn’t sure where we were at all. But part what makes a good pacer is the ability to tell convincing lies. “Of course I’m sure.” I said, in a soothing tone. As if on cue, a course marker appeared around the next bend. I tried keep the overwhelming relief I felt out of my voice. And I remembered the other parts of my pacer job description. Suzanne looked determined, but a little unsteady. My otherwise underdeveloped nurturing instinct kicked into high gear. In real life, when not running crazy mountain ultras where people get struck by lightning, Suzanne is a nutritionist, a professional in the science of fueling the human body. She of all people knows that a regular influx of calories is essential for finishing any 100, and even more essential for the monster race called Hardrock. But knowing something intellectually is not the same as remembering it after running for thirty-plus hours without a break. Ultra races act like neurological course vandals. They rearrange the markers on the pathways in our brains, causing key pieces of information to get lost for hours at a time in some nether region of the cerebellum where they don’t belong. I picture advanced reasoning skills staggering around in some remote corner of the skull, going round and round in circles. Because of this, arguing with runners in the last stages of a 100 mile race is like trying to argue with a mule once it has decided on a course of action. A pointless thing to try. But my experience as a horse (and mule) trainer has served me well in the world of ultra races, both as a runner and as a pacer. Trying to point out the fallacies in Suzanne’s argument would have been pointless, but I, too, can be stubborn if I want to. And I had stocked up on aid station goodies. “Pretzel stix? Peanut butter sandwich? I pestered, waving a ziploc baggie into Suzanne’s face. The key is to remain patient and calm. And to remember, humbly, similar discussions with one’s own long-suffering pacers in similar situations. Finally a spark of interest. She stuck a hand in the ziploc. But then she pulled it back out. Now she had lost me. It’s true that we were in Colorado. Maybe she thought I had baked a special batch of performance-enhancing cookies. 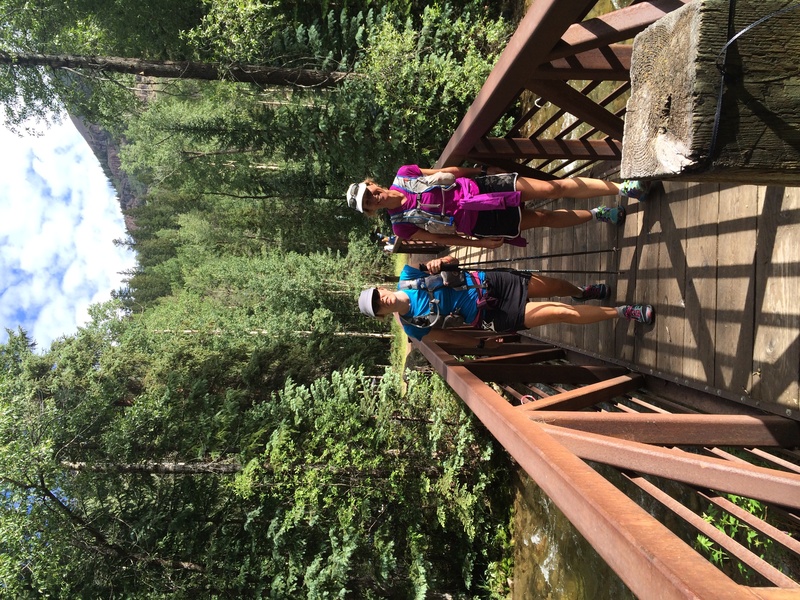 Muling means that pacers carry stuff for their runner, like an extra hydration pack, trekking poles, water bottles. Most races discourage the practice because not having to carry a couple of pounds of weight can give a runner an unfair advantage. On the other hand, the weight of a Fig Newton, even a couple of Fig Newtons, is less than an ounce. Negligible, no more than a piece of dried mud clinging to a shoe. No unfair advantage could possibly come from it. But I wasn’t about to try and explain this to Suzanne, who had passed into the realm of ultra logic hours ago. It made sense to her, and that was it. She looked halfway convinced, but not all the way. We exchanged our goods. The transaction had a solemn air, like any other moral decision of great consequence. Suzanne was finally munching the Fig Newton. We kept running, and she kept taking in calories at regular intervals, until she finished that most intimidating of all 100-mile races like a real pro, strong and steady. It’s true that we run the first 50 miles of a 100 with our bodies and the second with our minds. Maybe the mental strength we need for these races is so great that it redirects all our mental resources to putting one foot in front of the other, long after the body has given up. Maybe this explains ultra logic. It’s an altered mental state, a new dimension of human consciousness. It’s different from the runner’s high, but worth experiencing. And it’s worth scientific research. This entry was posted in Uncategorized on January 5, 2015 by silvakat. What a great read! Thank you for writing it! Thank you for reading it, Chris. I can relate to both sides of this, being a 100 miler as well as a pacer. Your flare for telling the story brings it to life. I look forward to the next blog entry….. Thank you for reading it, Steve. And for the compliment. I’d rather write blog entries than things having to do with my real-life job, but can’t always find the time. Hey Dan, I think anyone who has ever run a 100 can recognize that kind of twisted thinking. Awesome Katrin, the “neuroscience of ultra-running” this is exciting. I have a degree in Neuroscience and this is just fascinating, great read as usual, Gracias.